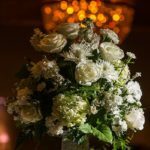 As the hot summer months begin to fade and the fall season brings in cooler weather and a change of scenery, it is also time to change your thoughts on how to properly decorate your wedding, bridesmaids, and groomsmen. Summer months bring bright colors like orange, pink and blues when the fall season has their own set of colors…colors like orange, red, light brown and yellow. The winter months has its own palette, deep colors like blues, grays, and whites. Since this is the case, your wedding should try and revolve around the season to further enhance the experience. I love the beach, but a beach theme in the middle of winter doesn’t do it for me! Since we know what color palette’s we should use, here are a few ideas for your decorations on your big day. Let’s start with an Autumn wedding. If you are planning on having your wedding in the fall, centerpieces such as a lantern or some form of fall flowers in a vase are great ideas. Some multi-colored fall leaves around your centerpiece is a nice touch to bring the season to life. Mason jars are HUGE right now, and they are a perfect complement to a fall wedding. These are very diverse in uses, from wedding favors to hanging them on Shepard’s hooks with flowers during your procession (if you have your ceremony on site). Pallets are also very affordable (if not free) from your local farm or market. I have seen many people sand down and build DIY projects with these in a few hours. It can range from signs to boxes, or even putting a few of the boards together and have your guests sign it, a pretty cool piece to put up in a future home! If you are having a winter wedding, the colors change…along with your decoration preferences. 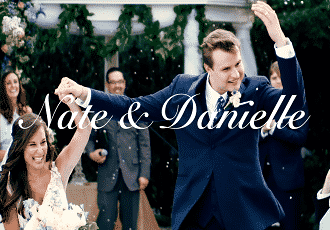 Since it is rare that you have an outside ceremony in December, and if you would like to have an onsite ceremony, you can do a whole slew of simple yet elegant decorations for your site. Penn Oaks Golf Club has a heated white tent, and if you go on their website, you can see what something as simple as a few red petals lining the walkway can do for you. It will make the room pop without looking like you forced anything. Depending on your religion, you can also make the room pop with whatever you like. As I am catholic, I would love to see a Christmas tree in the room with decorations to accompany it. For centerpieces, I have seen anything from Snow globes to big poinsettias, the options are pretty endless! I hope some of these ideas will lead you in the right direction when it comes to your wedding day and the décor for the special event. Remember that Penn Oaks Golf Club is always here to help with ideas from our three experienced Event Coordinators! 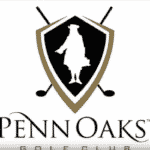 Visit Penn Oaks Golf Club now!